This time out, I’m going to take a look at something completely different. It’s a classic Young Adult/children’s novel written by a British author who is very famous on this side of the Atlantic, but is probably a lot less-known to readers in the US. Ann Philippa Pearce OBE (22 January 1920 – 21 December 2006), better known simply as Philippa Pearce, was a famous English author of children’s literature. She wrote over thirty books during the years 1955–2008, and quite a few of her books and short stories fall under the fantasy and supernatural heading, including this particular novel, Tom’s Midnight Garden. PUBLISHER: Oxford University Press, December 1958. Tom’s Midnight Garden belongs firmly in the classic timeslip fantasy sub-genre, which was so popular in British fantasy literature during the second third of the twentieth century. It’s a charming, gorgeous, beautifully-written tale about the relationship between a young boy, time-slipping from the late-1950s back to the 1890s (and moving closer in time as the story progresses), and the young girl he meets and befriends there. Tom Long is a young boy sent to stay with his Uncle Alan and Aunt Gwen, when his brother Peter gets measles. They live in a small upstairs flat of a huge house, which was once an impressive Victorian mansion. There’s nowhere for him to play, as there’s no garden, nothing but a tiny yard to park cars. The old landlady, Mrs Bartholomew, who lives in a room at the very top of the stairs, is a strange one. She keeps to herself, and hardly anyone ever sees her. She certainly doesn’t like children running about, so Tom is expected to be quiet and behave himself (some chance of that – young boys must get up to mischief). Most strange is the grandfather clock down in the hall. Tom can’t get to sleep at night, so he lies listening to it as it strikes midnight. But instead of striking twelve times, the clock strikes thirteen! Overcome by curiosity, Tom sneaks downstairs, opens the back door, and finds not a dingy little back yard, but a huge sunlit garden (hey, it’s supposed to be midnight!). So every night when the clock strikes thirteen, Tom runs downstairs and out into the gorgeous Victorian era garden. He meets and befriends a lonely little girl called Hatty, who becomes his only playmate. Tom sees many other people in the garden, but only Hatty (and the gardener) can see him. All the other kids think that Hatty is playing alone, and that she’s a bit of a weirdo. But strangely, on each nightly visit to the garden, Tom seems to be jumping around in time, mostly forward. Hatty is getting older, at first slowly, from a little girl a fair bit younger than Tom, to a girl his age, then faster and faster until she is much older than Tom, eventually becoming an adult. At this stage of the novel, she is courting a suitor (Barty), and she doesn’t seem to see Tom any more. He is becoming more and more insubstantial until he fades away altogether. On the very last night before he’s ready to go home, Tom runs downstairs as usual. But the garden is gone. There’s nothing there but the dark, dingy back yard. Tom crashes into bins, knocking them over and causing quite a racket, waking up the residents. He lies there sobbing, calling out Hatty’s name. His Uncle Alan picks him up and helps him back into the house, excusing what happened to be a result of Tom “sleepwalking”. The next morning, Tom is summoned up the stairs to apologise to Mrs. Bartholomew. But instead of getting a major telling-off, he is greeted warmly and is astonished to find out that the old woman is actually Hatty, who had heard him calling out to her the previous night. She explains everything to Tom, including what happened after his final visit to the garden. On leaving her, he rushes back up the stairs and, to the amazement of his Aunt and Uncle, gives Mrs. Bartholomew a big hug, like he’s known her all his life, and as though she is still a little girl. 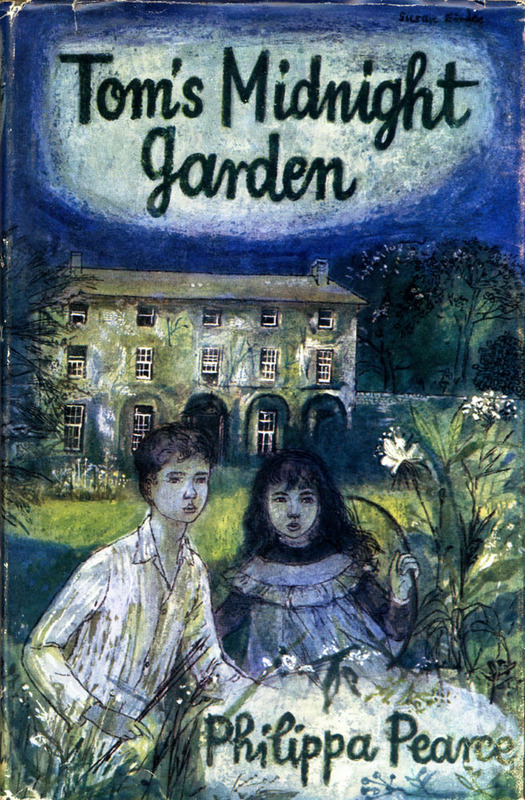 Tom’s Midnight Garden was Philippa Pearce’s second novel, and was published by Oxford University Press in 1958. It is by far her most famous book, and it won the prestigious Carnegie Medal in 1958, an annual British literary award (first awarded in 1936) given to that year’s outstanding new book for children or young adults (its nearest equivalents in the US would be the Newbery and Printz Awards). It’s beautifully written, from the intelligent story, to the touching relationship between Tom and Hatty (and her older self, Mrs. Bartholomew), and the regular correspondence between Tom and his brother Peter, to whom he writes daily accounts of his adventures in the garden with Hatty, as Peter recovers from his bout of measles. Quite a few of the scenes in the book are exquisite and genuinely moving. It’s quite a different kind of book to the mainstream fantasy that most readers devour today. Pearce’s novel comes from a storytelling tradition of an earlier age, from an era before mainstream fantasy became dominated by Tolkein and the endless stream of clones/copycats that took over the bookshelves in the wake of the meteoric rise in popularity of the Lord of the Rings books during the 1960s, and which still rule the bookshelves today, more than half a century later. Tolkein’s Lord of the Rings trilogy was written during the years 1954-1958, so Tom’s Midnight Garden was a contemporary literary work. However, it is an entirely different kind of fantasy to the Lord of the Rings books. Thankfully, I may add, as I am certainly no fan of the Tolkeinesque brand of high fantasy. Tom’s Midnight Garden has been a lifelong favourite of mine, ever since I was a young boy. I first read it when I was nine or ten, picking it up from the school library. I also had easy access to it over the years as it was readily available from local libraries (it was a very popular book in the UK back in the day). So I was able to revisit it quite a few times during my teens and twenties. I eventually bought my own paperback copy back in the 1970s (the 1976 Puffin paperback edition), which I dig out every couple of years for a re-read. 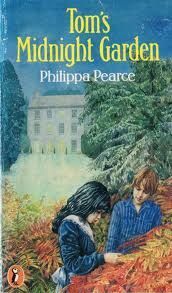 Philippa Pearce’s classic novel was one of those remarkable childhood favourites that made an indelible mark on me as a young boy, and my love for this book will remain with me till the day I die. This is a true children’s fantasy classic, and every young boy or girl really should read this gem at least once in their lives. Hell, even if you are not quite so young any more, if you have never read this book, put it right at the top of your “To Buy” list.